Last year, at this post-Purim/pre-Pesach time, I actually put up the post where I talk about Temima’s diagnosis and some of the progress she’s made. I had hoped to follow it up this year with a continuation, especially because so many people wrote to me or called me to share their experiences after reading it. Instead, in light of her upcoming procedure, I’d like to briefly share a little about how implants work. There’s a lot of misconception about what an implant is—most people understandably assume it’s completely internal, and are surprised to see that Temima’s external implant piece looks just like a hearing aid, only bigger and more noticeable. They’re even more confused when they see me hang the ear piece over her ponytail instead of over her ear, helpfully telling me that her “hearing aid is off.” To explain the beauty of how our sense of hearing works is an exercise in revealing Hashem’s greatness in forming the intricacies of the human body. Let’s start. Sound is, in essence, vibrations (or waves) that your brain processes. There are several steps to how we hear, and hearing impairment can be caused at any of these steps. Let’s go through the steps. Hearing starts with your outer ears—the holes on the sides of your head that allow the sound waves to go in. Hearing loss at this step would be a child born without an outer ear. The inner ear is functional, but certain genetic conditions would result in no opening or outer ear. This child would use something called a Baha until his facial nerves were fully formed and positioned (around age 8) and a typical looking outer ear would be made with plastic surgery. The sound waves then bounce off of the ear drums, causing them to vibrate, then move along the tiny bones behind it and down to the inner ear. This is the middle ear, where ear infections happen. If there is fluid sitting behind the ear drum, it can’t vibrate as it should, so everything sounds a bit congested, or muffled. The fluid also is at high risk for getting infected if it’s not draining properly down the back of the throat. Tubes are sometimes put in for young children with frequent ear infections, to help stop the buildup of this fluid—the tube keeps a tiny hole open in the ear drum so that the fluid can drain out through the outer ear, allowing the child to hear more clearly, too. The little bones behind the ear drum can also sometimes be damaged by loud noises or accidents, and can often be repaired (though not to perfection) through surgery. The sound waves then go through the snail-shaped cochlea, where the small hair-like nerves carry the sound to the auditory nerve and the brain. This is the step that is most commonly linked to permanent hearing loss. The little hair-like nerves are either damaged, sparse, or absent from the cochlea, so the sound waves can’t be passed on to the auditory nerve. There are two ways to combat this type of hearing loss. The first way is through hearing aids. These are ideal for mild to severe hearing loss. Hearing aids are basically amplifiers—they make all sound louder so that the sparse or damaged nerves can pick up the sound waves and transfer them to the auditory nerve. While hearing aids used for kids and adults with hearing loss are very complex pieces of technology, where every sound is independently adjusted and every frequency and pitch monitored, at the end of the day, a hearing aid is just an amplifier and will have shortcomings, namely clarity. It’s pretty easy to scream loudly, but it’s much harder to enunciate clearly while you’re screaming loudly! The higher the degree of hearing loss, the louder the hearing aid has to be made, and the more clarity and articulation is lost. At a certain, what the person hears is so distorted from being amplified too much, and the hearing aid, especially for a child trying to learn how to talk, becomes detrimental instead of helpful. All said, it’s pretty awesome technology, piggy-backing on truly awesome G-d created biology! Temima got her first implant days before her first birthday. She had been wearing hearing aids for several months, but her right ear had a higher degree of hearing loss than her left ear, and we were approaching the territory of the right-side hearing aid not being able to give her good input. The surgery is usually a “one-and-done” deal—one surgery and it’s in for life. All new technology is made to be backwards compatible, so any updates to her coil and transmitter would just be a matter of buying the new device. As many of you may know, however, Temima did have a number of complications, resulting in several corrective surgeries before the implant had to be removed and re-implanted several months later, in July of 2017. Baruch Hashem, since then, the implant has been working well and Temima has made great progress, picking up new words and concepts weekly. Last year, for the first time, the hearing loss in her other ear started progressing as well. We’ve tweaked and maxed out her hearing aid, and can’t make it louder while keeping the sound she’s hearing clear and undistorted, leading to the decision to have her other side implanted as well. I have to admit it was a hard decision to come to. On the one hand, she’s expressive and verbal enough to tell me quite often that she doesn’t like her hearing aid and likes her implant better because it’s “louder”. On the other hand, she’s also able to tell me that her hearing aid ear “works” but that her implant ear is “broken” which shows me that she’s aware that she gets input and hears from the hearing aid ear, but that her implant ear is bypassed completely. Nonetheless, we are confident and optimistic going forward that this will, with Hashem’s unending kindness and help, be the right step for her. Temima’s surgery will be early Friday morning, and she’ll spend a couple of weeks recovering before the implant is turned on. During this time, we do appreciate all tefillos for a successful implant and an easy recovery. Thank you so much! Much has been written about the five stages of grief and how we process hard news. I’m not sure if this was the denial phase or the bargaining phase, but I remember quite clearly that at a certain point I was sure that this could. not. be. my reality. I was certain that life could not, would not continue this way, and that surely, Moshaich was about to come and save me from this nightmare reality. Moshiach, and the healing he would bring, was no longer just a dream for the future, it needed to happen NOW. And when it didn’t, when day after day, I faced reality, it slowly sank in that there was no quick fix in store for me, and that led straight to the depression phase. The least helpful comment ever made to me during this time is memorable both for its tactlessness and for its supreme ignorance, and yet it was that that pulled me straight out of depression and into acceptance, back to the warmth of G-d’s loving embrace. The person I was speaking to, and older family member, sighed loudly, and mournfully declared his pity for us, then said, “and you know, this happened only as G-d’s retribution for our sins!”. Everything in me rejected this statement. This wasn’t something that happened as a vengeance from Hashem—Hashem is kind, forgiving, and patient. This wasn’t something that happened when Hashem wasn’t there, for He was always there, and always careful. Instead, I knew then that these were growing pains, necessary for a better outcome. Imagine a baby, learning to walk. He takes one step, then the next, and his parents watch with bated breath, quiet so as not to jolt him into falling. As he completes the third step, he falls down, onto the safely cushioned carpet, and wails—but his parents erupt in cheers: Good Job! YAY! Look at you!! Anyone who’s had to deal with kids, either as a parent or as a teacher, has heard the battle-cry and defense “He made me do it!”. As the adults in the room, we work hard to convince our charges that we can’t help or change what others do and can only control ourselves. Surely, I’m not the only adult who says so in an appropriately sympathetic-yet-authoritative voice that covers a deep treasure trove of guilt. Why guilt? Because this lesson is one that is hard to swallow, even for adults. How often does it happen that life (read: Hashem) puts us in a situation so challenging, so uncomfortable, so painful, but that we have no control over? And how often do we turn to Hashem, telling Him that the situation is untenable and that it must be changed…ignoring the fact that it is we who need to change? After all, as we tell the kids, we can only control ourselves, right?! I was looking for a magic formula and a reassurance that it would all be okay, and he was instead telling us that there was a choice to be made. The challenge had been given to us, unasked for and unwanted. Our reaction was our only choice. Tu B’Shvat is possibly the vaguest quasi-holiday in our calendar. Other than the minhagim that some sources cite about eating fruit, all we really have to go on is the halachik guidelines that declare it a special day (no tachanun and no fasting) and the gemarah that tells us that this is the New Year, the judgment day, for the trees. But why is this something that we relate to, and what meaning can we take away from this holiday? It seems that when we take a deeper look, the Torah quite often uses trees as both parables and analogies. Let’s see what message there is that relates to us, as humans striving to serve Hashem, from the Rosh Hashana of the trees. Throughout the Torah, mankind has a well-documented connection to trees: from the very start, Adam’s first trial and failure was acted out in a story of trees. Yaakov planted cedar trees to be later used by his descendants. Before war, one who had planted a vine but hadn’t harvested from it yet was sent home. And once at war, it was prohibited to cut down fruit trees during a siege, with the reasoning that the tree is not an armed enemy that would pose a threat to a person. The verse “כי האדם עץ השדה הוא ” has been explained by Chazal to more deeply explain the connection between man and trees:“for a man is [just like] a tree in the field”. Dovid Hamelech, too, often used and built upon this analogy of man and tree. The simplest explanation for this analogy is that just as a tree is rooted in the ground and grows upwards, so too, a person is rooted in the physical world, needing its amenities to stay alive. As we grow, our branches are meant to extend upwards—that is, our aspirations and expectations of ourselves should grow with us, making us reach for the heavens, for spirituality. Our goal in this life is to produce fruit—to leave a mark of accomplishment that will better the world for the generations we leave. Beyond man, Dovid Hamelech specifically compares a tzaddik, a righteous person, to a tree. The very first chapter of tehillim, praises a righteous man, and verse by verse blesses him with prosperity and longevity. Commentators explain that this righteous man is planted, so to speak, near the well of Torah, just as the tree described in the verse is planted riverside. He is thereby able to sustain himself and constantly draw on the Torah’s wisdom and reach his full spiritual growth, producing fruit to sustain generations. In every person is the desire and aspiration to live a meaningful life. In our hearts, we all want to be the tzaddik, remembered for having led lives of substance. [As the well-known parable points out, it is the dash on the tombstone that matters; no dentist wants to be remembered for his great dentistry (‘Here lies a great dentists…he filled the holes in many peoples lives…drilled his way into their hearts…and has now filled his very last cavity!’) but rather for his value as a person.] The Maor Vashemesh makes this very observation and asks: what gives the tzaddik strength to persevere over the distractions of the world and accomplish? From where does his draw his will? To answer this question, being that the tzaddik is called a tree, we have to go back to some of the very first trees, the ones that existed in the perfect world of Gan Eden. Within Gan Eden, there were many trees, all of which Adam and Chava were told to enjoy. Two trees, however, were special: the Etz Hachaim and the Etz Hadaas Tov V’rah (literally translated as the Tree of Life and the Tree of Knowledge of Good and Bad). Adam, having been created immortal, had no need for the Etz Hachaim until after he ate from the second tree. Once he sinned and was punished with, among other things, eventual death, Hashem put armed angels in place to guard the Etz Hachaim so that Adam couldn’t eat from it. But never is it explained outright what the so-called Tree of Life is. Let’s examine it. The meforshim explain that the Etz Hachaim was the source of all spiritual ambition and growth in the world. It was the mystical embodiment of the Torah—which, too, is called an “Etz Chaim,” a Tree of Life. The world Adam lived in after he sinned, the world we live in now, is not “Adin,” refined, any longer. In fact, our world is characterized most strongly by the hiddenness of Hashem and the barriers there are in seeing Him and serving Him. (Olam, our world, is closely connected to the word, ne’elam, hidden, for this reason). We’re badly in need of the spiritual food of the Etz Hachaim, but within us is rooted the taste of the Etz Hadaas that Adam ate—a deeply rooted desire for bad, a desire that’s as compelling, if not more, than our desire for good. A tzaddik, then, is someone who manages to maintain his connection to, and desire for, the Etz Hachaim, manifested for us in the Torah, the Etz Chaim. Against all odds, he’s uprooted the taste of the Etz Hadaas, and regained the clarity that was the nature of Gan Eden where Hashem’s presence was clear. In his world, there is no aftertaste of Adam’s sin, and he freely partakes of the Tree of Life, unhindered by the fiery angels. Let’s go back to our original question, and apply it back: In the context of the tzaddik that we all strive to be, what is the message and meaning of Tu B’Shvat? The month of Shvat is historically very important. It was on the first day of Shvat that Moshe stood before all of B’nai Yisrael to explain the Torah to them a final time before his passing. The possuk says that Moshe explained the Torah “very well”. The meforshim learn from here that Moshe explained the Torah in all 70 languages of the world. In preparing us for the challenges that would come when we would leave the Eden-like existence in the desert and move on to life in the ‘real world,’ Moshe explained the Torah not just in 70 languages, but in 70 different ways and manners, making it, the Tree of Life, fully accessible for all generations until the final Moshiach. The Torah is available and applicable to every Jew, at every time. The obstacle is only in our hearts and minds. Being that we live in a post-sin world, we cannot trust the direction of our instincts and our hearts. We sometimes look at something, analyze it, and are sure it is sourced from the Etz Hachaim, not realizing that it’s quite the opposite. The stench of the Etz Hadaas and its venom is unrecognized by our senses, and we can’t distinguish what’s good and what’s bad. The lesson and reminder of Tu B’Shvat is then our saving grace. R’ Chaim Vital writes from the teachings of his Rebbe, the Ari z”l, that Tu B’Shvat is a tikkun, a spiritual reparation, for the fruit that Adam illicitly ate. When we eat the fruits, correctly and only for the sake of connecting to Hashem, on this night we symbolize renewed commitment to limiting and correctly channeling materialism and not straying after what we’re commanded to resist. Thus, the tikkun is made. The tzaddik that we spoke about was compared to a tree: ‘והיה כעץ שתול על פלגי מים….and he will be like a tree by banks of water.” R’ Shimshon Rephael Hirsch questions the use of a plural here—the tree can be placed near a river’s bank, but it cannot by the banks of many rivers! R’ Hirsch teaches us that the plural word is here clearly to teach that the tzaddik is aware of the many choices in life, and feels the same pulls that every human does. It is through his choices, in where he chooses to root himself among those many paths, that his greatness emerges. He sees the many paths in life, the many choices, and doesn’t allow the lingering taste of the Etz Hadaas to distract him from seeking the Tree of Life. The power of choice was the first power granted to Adam, and is a power that we maintain today. We choose our actions, and Hashem not only allows the choice to actualize (we choose to move our hands, so Hashem allows our hand to move) but guides and furthers a person along the path that he’s chosen. Decisions we make in seeking out Hashem add up together to equal the sum of who we are. The tzaddik sees the many paths available to him—the good and the bad—and consistently chooses the one that is in harmony with the 70 paths of the Torah, the one that will bring him close to Hashem. The Vilna Gaon reverses our question about what a tzaddik is, and asks instead what a rasha, a wicked person is. Not surprisingly, he too stays with the vegetation analogy and compares a rasha to tall reeds blowing in the wind, and a tzaddik to a cedar tree. The rasha, he explains, is like a reed that blows every which way, following the trend of the wind. No conviction or deep belief leads the actions and swaying of the wind—the rasha is easily influenced by the political and social climate of his times, forgetting and abandoning the message of the Etz Hachaim, whose fruit he should be seeking. The tzaddik, however, is a cedar tree: firm and unbending, unswayed in its upwards growth. The tzaddik looks only upwards, to Hashem, in making his decisions and aims to once again live as Adam did before the sin. Chazal teach us that on Tu B’Shvat one should daven for a good esrog for the upcoming year, as the judgment of all trees is determined on this day. The esrog symbolizes the heart of a person (while the lulav, hadassim, and aravot symbolize other body parts). Living in the reality of a world that changed when Adam ate from the Etz Hadaas, we no longer have the clarity to know what is good and what is bad, and more than ever need to pray for a good heart, a discerning heart. The many paths and choices that lay before us are not black and white, and often we confuse bad for good, talking ourselves into all sorts of manipulations. On Tu B’Shvat, we have the opportunity to ask Hashem for a good heart so that we can make the right choices and connect to the Etz Hachaim. Let’s end off with a very esoteric commentary from the Pri Tzedek. He points out that the possuk that introduces the two trees in Gan Eden seems to be a fragment. It says, “and the Etz Hachaim was in the center of the Garden, and the Etz Hadaas Tov V’ra,” and abruptly ends. It would seem that having told us the location of the first tree, the possuk should tell us the location or proximity of the second as well, but no information is given. He explains that the possuk is really telling us about one tree: a tree that has two facets, only one of which can be accessed at any given time. (For those of my readers who are science people, this is like the idea of Schrodinger’s Cat—the cat is alive and dead while the box is closed and its actual state is unknown. The tree here is both trees, so long as no one tries to eat from it.) The Pri Tzedek explains that the effect of the tree and the facet accessed depends entirely on the intentions of the eater. Both realities exist in the realm of potential, but the everlasting effect, life and death, is dependent solely on the choice that is made. Eating from the Tree with the intention of closeness to Hashem and connecting to His Oneness would lead a person to have fruit of the Etz Hachaim. If one eats from it with intentions of disconnection from the Hashem’s ultimate goal, rationalizing and blurring the lines of good and evil, the fruit will be that of the Etz Hadaas. The possuk that introduces the Tree uses the words, “ נחמד למראה וטוב למאכל-pleasant to the eyes and good to eat,” then goes on to say that in the center of the garden was this Tree (or trees). The meforshim relate these two phrases respectively to the two trees (or the two facets of the Tree): the Etz Hachaim, in touch with Hashem’s plans and control of the universe was “pleasant to the eyes”. The ingestion of its fruit was an act of understanding and internalizing the perfection and complete pleasantness of the world. By contrast, the phrase “and good for eating” refers to the second (aspect of the) tree, daas tov v’rah, knowing good and evil. This is the mentality of judging and finding fault with Hashem’s plan, and seeing things in this world first through a lens of personal benefit. When Chava observes the Tree, she first notes that “good to eat” and thus, her choice is made. Chazal teach us that prior to the sin, the trees themselves, bark and all, were edible. It is interesting to note that on Tu B’shvat we eat from the fruit of the trees. This is odd, because only the trees are judged on Tu B’shvat; the gemarah in Rosh Hashana tells us that the actual fruits are judged on Shavuos. When we choose on this day to eat the fruits for the closeness to Hashem the holiday brings, and not for worldly reasons, we are attempting to access the pre-sin level of the Etz Hachaim, a world where everything is pleasantly in sync with and usable for Hashem’s service. Tu B’Shvat is about the choices a person can make. Two potential realities can exist at once, and a person must make the choice to connect to the reality of Hashem’s Goodness and Oneness. Accept His plan, accept the circumstances He has carefully arranged for you, and let it make you, not break you. We all know people who have been through hellish challenges and have suffered heartbreaking losses. Some of those people have gone on to establish charities, organizations, schools, and inspiring messages, growing from their pain and bringing forth healing. In recent years, I have been fortunate enough to have been helped by two such organizations, both of which were started by individuals who did not want anyone to go through what they did alone. These are people who have absorbed the message of the tzaddik and are grasping and eating from the Etz Hachaim with every action. May we merit to accept the challenges and circumstances that Hashem has hand-picked for us with love and correctly choose the path of life, the path of the tzaddik. It was a Friday afternoon, a short winter Friday, and I found myself sitting in a doctor’s office on the bad side of town. On a fluke, we hadn’t been able to get insurance clearance before this date, and this was the only possible time and place to cross some essential t’s and dot some vital i’s before a long holiday break. The place was grimy, the secretary resentful of being there alone before a holiday weekend, and the characters in the waiting room were very colorful. The loud, often crude and angry, conversations filled the air and I felt completely out of place. We sat in a corner seat, right in front, next to the receptionist’s desk, and very carefully minded our own business. Two people sitting in room got into a loud fight, and others felt the need to join in the argument. We huddled further down in our seat and just waited for our turn. From the corner of my eye, I saw a tough looking lady brush into the office and come straight up to the receptionist saying she needs to talk privately. I tilted my body away, and continued to very carefully fade into the background. The clock ticked on, and we were finally seen, tested, and sent back to the waiting area to wait for results. We sat right back down next to the receptionist and waited. Suddenly, the door of the exam room opened, and that same lady walked out with her child. She did a sweeping look around the crowded waiting room, and marched straight to me. I looked up, somewhat alarmed and very cautious, and waited to see what she would say. One of the most tragic decisions made by the government of the State of Israel was the decision to purposefully and viciously secularize the migrant Yemenite children. Taken away from their parents, who were often told they’d succumbed to disease and died, these children were put into facilities that cut off their peyos (side-locks) and forced them to break Jewish law. Systematically, they tried to break the spirit of these children to convince them to abandon Jewish law, and sadly, they were largely successful. The Chazon Ish heard about these secretive efforts and sought to help. When he heard of a new facility that was near his town, he sent a group of bochurim from the Yeshiva to the facility to gauge the situation and see what they could do. The bochurim were unsuccessful; they were turned away at the gates of the walled facility and could not gain entry. They returned to the Chazon Ish and told him they had failed. The Chazon Ish told them that if they could not get it in, then that must not have been their mission. Instead, he instructed them to return to the facility and walk around the building, thereby putting in their own effort. And so, the bochurim returned and spent the afternoon strolling around the building, trying again to gain entry to no avail. They returned to yeshiva, disappointed in the futility of their efforts. Shabbos Nachamu, named for the first word in the Haftorah, starts a cycle of seven weeks called the “Sheva D’nechemtah”. These seven weeks between Tisha B’av and Rosh Hashana mark an uptick and change in the tone of our relationship with Hashem. Whereas Tammuz and the first half of Av were characterized by Hester Panim and distance from Hashem, we are now comforted and consoled by Him. The seven Haftorahs read in these weeks all contain words of comfort and encouragement as we come out of our grief and greet Hashem once more as His beloved nation. It’s important to note that these prophecies didn’t herald the redemption itself—Yeshaya witnessed the exile but did not live to see any redemption. What then is the consolation and the comfort that these words are meant to convey? My daughter Temima wasn’t so small when she was born—at 5 lbs, 10 oz, she missed the mark of a low-birth weight baby by 2 ounces. Less than an hour after she was born, however, she was admitted to the NICU due to what the nurse on call thought was respiratory distress. She was not found to actually be in respiratory distress, and though she was examined again and again, not one doctor was able to pinpoint what it was about her breathing that seemed off. After four days of observation and testing, we were sent home. Temima seemed happy to nurse, though she did seem to eat less and sleep more than my other kids. Sure enough, our one week check up at the pediatrician showed that she had lost an alarming amount of weight. On the doctor’s advice, we started a two-hour feeding schedule, round the clock. This meant that every two hours, on the hour, my alarm would ring and I would try to wake her and coax her into eating. Three days later, at our follow-up, she had dropped yet another pound. Scared and out of options, I decided that I would go to a lactation and feeding consultant to see if the situation could be helped. On the spot, I called a friend who was able to recommend someone. I booked her next available appointment, and continued the two hour feeding schedule for the next several days, going into the pediatrician’s office daily for weight checks. That was scary—a real wake up call! I feel so uplifted, as if I’m a new person. I’m ready, I’m committed. This is it. A new me has be born. Famous last words, you might say. Check back with this inspired person in just a few days, sometimes even a few minutes, and the inspiration is gone. Check back in six months and see if the topic of the shiur or source of inspiration can even be recalled. Inspiration, it seems, is mistaken for actual change and growth but the test of time proves this false. Rabbi Kelemen of Neve Yerushalayim, a kiruv seminary, explains the misuse of inspiration to his class, warning them about its misuse as they begin to come closer to Torah. Some, he says, treat inspiration like drug they need to inject every so often: Rabbi! Help! I’m uninspired! Shoot me up! Please! And when the effect of the inspiration, the high, wears off, they come stumbling back in: Rabbi! Help! I can’t live with out it—shoot me up again! This, he explained, is not the correct usage of inspiration as it does not require actual work or growth. …till the reality of the carpools, the overtired children who had to be sent off to school, the classes and exams that had to be made up, the too much time taken off of work that had to be explained and groveled over, and the reality of a sleep-deprived week where we were perpetually off a day (wait—tomorrow’s FRIday again??) hit us in the face. Where has the inspiration of the Chag gone and what was its actual role, anyway? Inspiration is a tricky thing. Let’s take a look the role inspiration played in a couple of key parts of the history of B’nai Yisrael and see what the message for us is. Avraham Avinu knew his life’s work: he set out to attract the people around him to a life of monotheism. Through his acts of kindness and his teachings about the graciousness of Hashem, and by living an exemplary life, he hoped to influence the nations of the world. Indeed, the possuk refers to “ואת כל הנפש אשר עשו”, which literally translates as “and all the souls that they (Sara and Avraham) had made”. The commentaries here explain that these souls are the many people that Avraham Avinu and Sarah Imainu had attracted and brought in to Hashem’s service. My fellow grammar nerds will recognize the name of this blog as a play on the well-know adjective book, “Nearly, Dearly, Insincerely” and might get a chuckle out of that. but truthfully (and dare I say, clearly and sincerely?) there is more depth to it! Let me explain by stepping back…a few years, then as far back as a decade…. My daughter, Temima, was born in August 2015. I’m forever grateful that in our family we are not bound to name for or name after. Each name for our children is hashed out between my husband and myself throughout the pregnancy (obsessively, at my insistence…o, the games I play…), and then we run our short list by my husband’s Rebbe to make sure we’re not missing any obvious information that would make the name ill-advised. When the name Temima came up during my fourth pregnancy, I wasn’t initially too excited. As I thought about it, and as my husband expressed more and more interest in it, the name grew on me too–with one major caveat. I did not want to name her Temima for the more Israeli definition of “perfect” or “complete”. I repeatedly said that if we use this name, we should have in our minds and hearts the other definition, inspired by Rav Yaakov Hillel’s book, one of temimus, and of the passuk “tamim tehiye im Hashem Elokecha”. Fast forward to August when Temima was born. Until Temima’s birth, I had been blessed with relatively pain and drama free birth experiences. That changed with her birth. Temima was five and a half pounds when she was born, a far cry from the seven and a half pounds the sonogram technician had predicted, and that was normal for our family. In retrospect, the nervous looks exchanged by the nurses as they let me hold her for a few minutes should have made me nervous as well. Within minutes, she was whisked away to the nursery to be properly examined and cleaned off, while I was sent to the maternity ward. As with all my kids, I did leave instructions that she was to be brought to me as soon as possible for feeding. Soon after I settled into my bed in the maternity ward, a nurse came to tell me that my baby had been in respiratory distress and had been rushed to the NICU for observation and treatment. Alone, still hooked up to an IV and recovering, I couldn’t do much, nor really figure out what that meant. ‘Aerodynamically, a bumblebee shouldn’t be able to fly. But no one told the bumblebee…so she flies.” I read this quote on a bumper sticker years ago and thought it was a cool trivia fact but not much more. Almost three years ago, the message came alive for me. Temima was 12 months old and was receiving physical therapy a few times a week to help her reach her milestones. One evening, Lisa, her PT, and I sat on the rug in the middle of my living room discussing her progress for her mid-year report. Temima had just began cruising, holding on to our L-shaped sectional and walking across the room. Lisa was outlining the goals for the next six months, and said, “You know, we’re not going to put independent walking down as a goal. Many babies are content to have mastered cruising and feel no need to walk. Considering Temima’s poor muscle strength, I don’t think it’s realistic to expect her to walk within this term. Instead, let’s…” Lisa stopped talking, cutting off her own sentence because I was gesturing wildly for her to look behind her. At the exact moment that Lisa was telling me that Temima would probably not have the strength yet to walk, Temima took her first five steps across the room. We, all of us, have far more strength than we give ourselves credit for. It’s scary to think that most often, we are the ones telling ourselves that we can’t fly, shouldn’t fly, shouldn’t even try for fear of failure. We left off last week with a Mashal about greeting the Lion of Av. Let’s now discover his true lesson. The story of Kamsa and Bar Kamsa is a familiar one: A wealthy and prestigious man decides to host a party. He addresses invitations to his family, his friends, and to the community members he wants to invite and hands them off to his servant to be delivered. The servant errs and delivers Kamsa’s invitation instead to a man named Bar Kamsa, a man on decidedly unfriendly terms with the host. Bar Kamsa believes the invitation to be his and decides to attend the feast. At the party, the host sees Bar Kamsa and is infuriated. He confronts him aggressively and insists that he leave, even while Bar Kamsa begs to be allowed to remain so as to save face. Bar Kamsa goes so far as to offer to pay for his meal, and even for the entire party, to spare himself the embarrassment of being thrown out, but the host angrily refuses and in a loud and ugly scene throws him out. Bar Kamsa leaves the party and plots against the Yidden, approaching the Emperor with a plot that successfully leads to the churban. That’s the story of Tisha B’Av, as we’ve all learned it year after year. In this post, we’re going to pose a few questions, both about this story and about Av, and come to a deeper understanding of what this story means. Question number one is about Kamsa. He’s remembered generation after generation, and mentioned each time we tell this sad story. When we think of the churban, we immediately think that it was, as R’ Yochanon said, because of the story of Kamsa and Bar Kamsa. His name has gone down in infamy as the cause of the destruction of our temple. But what, if anything, did he do to deserve that? Is he even really a character in this story? He never got an invitation, never responded, didn’t show up at the party and seems to be completely uninvolved. Why does there seem to be some level of fault found within him? Question number two is about the month of Av. (Those who read the blog regularly know that I can’t resist this topic!) As we’ve discussed before (just once…or twice…or eight times), each Jewish month has an astrological symbol that is representative of that month’s history and power. For example, Tishrei, the month of Rosh Hashana and Yom Kippur, is a set of scales, representing the qualities of judgment and Hashem’s interactions with us in that month; Nisan is lamb, representing the Korban Pesach, and also the attitude of B’nai Yisrael as they left Mitzrayim; and so on. When we think of the month of Av, our first thought is usually a visual of the flames of the churban. The image of the walls of the Bais Hamikdash burning, as the Yidden were murdered and exiled in chains, the blood and tears shed, are all also visuals that Megillas Eicha and the Kinos graphically describe. But as we mentioned in the conclusion of our last article, the month of Av is represented by a lion. What does a lion have to do with the month of Av? This is the second part of our Tammuz post. For Part One, click here http://Goo.gl/cKzpvq. Babies, from almost the minute they are born, are looking to connect and interact with their parents. From a remarkably young age, they are able to tease and flirt, as they smile and twinkle and delight in the smiles of the parents. A favorite game, of course, is hide and seek, where the baby will watch gleefully as his father disappears behind his two hands, only to pop back out again. Cheered by his baby’s happy squeals and claps, the father continues this game as the baby grows older. To entertain the toddler, the father may hide under a chair, or behind a curtain; for an older child, maybe in the closet or in a basement staircase. The goal of the father is always the same: that the child should seek him out and delight in him. We last left off wondering how a month full of hester, Divine concealment, can be utilized for good and for growth. We listed the five historical tragedies of Tammuz as well as how they related to the middos of the month itself. Now let’s go on to discuss the life of a person who overcame it all: Yosef Hatzadik. As we said in Part One, Yosef was born in Tammuz (most likely on the first of the month, although there is an opinion that says he was born on the 27th) and was handed this struggle, and he died in Tammuz because he succeeded. Who was Yosef? How did he change and grow? What were his strengths? What can we learn from and tap into? Before we begin, remember: the challenges of Tammuz are seeing Hashem in everything, taming the passionate fires of immorality, and overcoming sinas chinam. As we mentioned, Tammuz is the month of worshiping the sun god, which in our day and age is comparable to worshiping nature and attributing events to coincidence and denying Hashem’s involvement. Leah Imainu changed the course of history by realizing this. She realized that life was not just proceeding willy-nilly, but that there was King and Creator that she could appeal to. So she did. She realized that things don’t just happen and that we are accountable for our so-called natures. Leah was meant to marry Eisav. She was suited for him and destined for him, but she did not give into her fate and instead davened that she merit to marry Yaakov. Her awareness of Hashem brought her to passionate pleas that Heaven couldn’t ignore. Leah was involved in Yosef’s conception as well. Leah rejoiced with each pregnancy, delighted that through her tefillos she had escaped a life as Eisav’s wife and was instead raising shivtai Kah. But when she had her 7th pregnancy she realized that if she were to give birth to a son, her sister Rochel would only merit one shevet. She could not bear to see her sister distressed and so she davened with all her heart that the baby in her womb become a girl to spare her sister the pain. Thus, Dina, who was in Rochel’s womb, was switched with the baby in Leah’s womb—Yosef. Through this legacy, Yosef was born through. Tammuz is fire, often associated with anger. But Torah is also called fire, and a person must have that passion in life to do what is right and to go against his own nature and to beseech the Heavens. From the fire of Leah’s passionate pleas, was born. Tammuz, as we explained, is the month of fire, of “normal” physical desires. Yosef was a young, handsome boy, alone and enslaved in Potifar’s house. He could have justified any behavior by saying that the ta’aavah was normal for a boy his age, and he could have rationalized that it was beyond him to resist. He could have written himself a heter based on pikuach nefesh. But Yosef found within himself the strength to resist the temptations. Chazal tell us that Yosef was about to give in when he saw the image of his father in the window, and that was what helped him run from the ta’avah. How can we understand this? Yosef closely resembled Yaakov. A common explanation is that Yosef saw a reflection of himself and thought it was his father Yaakov, or that he saw the image of Yaakov reflected in his face. Yosef looked within that reflection, that image of his father, and saw what he could become. And with that he withstood the nisayon. Every middah can be explained using a mashal of a pendulum. As far as the pendulum swings up one side, the force of the motion will carry it equally far up the other side. So too, each middah has the good, correct usage but also has an equally strong opposite side, where the middah is used wrongly and to detriment. Yosef was living a life that seemed to be going downhill, fast. He was an outcast among his brothers, thrown into a pit, sold into slavery, victim of Potifar’s wife’s constant ploys for attention, falsely accused, and finally thrown into jail. In jail, he looks beyond himself and sees the distress of the two servants of Paroh who had experienced troubling dreams the night before. Here, we see the beginning of change in Yosef. As he looks beyond himself and sees their distress, his path begins to change. Yosef tells the Sar Hamashkim in jail, ‘When you are freed, remember me also, for I was jailed for no reason…’. Chazal find fault in the language of Yosef here. Soon after, when Yosef is brought before Paroh to interpret his dreams, we see that Yosef speaks differently, attributing all to Hashem, and saying that only He can help. We see this common thread again when he reveals himself to his brothers and assures them that it was Hashem’s plan that he be sold to Egypt. Yosef clings to the middah of Chessed, looking beyond himself to help others and attributing everything, even his suffering, to Hashem. At the same time, he overcomes the sinas chinam of the month in much the same way: when one realizes that everything is from Hashem and that there are no accidents of fate, sinas chinam cannot exist. Yosef takes care to prevent sinas chinam among his brothers, first separating Shimon and Levy, and then cautioning them about lingering on the way back to Yaakov, lest they get caught in a fight of blame and accusation. He tells them that he himself has no grudge, because no one should have any grudges or any false competitions—it is all from Hashem! 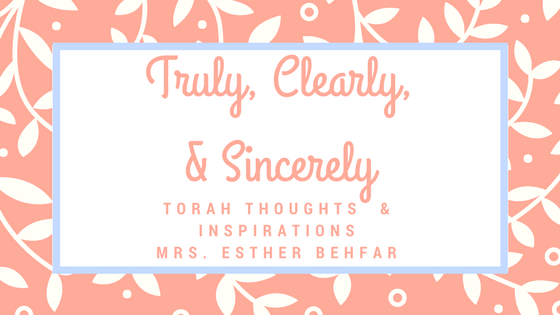 Yosef goes so far as to stay away from Yaakov in the final days of his life so that the truth about his abduction should never be revealed—because Yosef was living in a world where the ultimate truth was seeing Hashem. At the end of Yaakov’s life, Yosef brings his two sons to Yaakov for a final bracha. Surprisingly, Yaakov, who Chazal tell us learned Torah with Menashe and Ephraim during the final years of his life, asks Yosef: Who are these boys? Yosef answers, “These are the children that Hashem has graced me with.” Perhaps Yaakov, at the end of his life, was checking in on Yosef and his job in this world by asking this question and seeing his response. With this, through his suffering, Yosef reached success. Tammuz was about disconnect, yet Yosef lived in galus, the ultimate state of disconnect, and thrived! He was the first to successfully raise children in galus (Yaakov blessed Yosef’s sons with the bracha of hamalach hagoel, which ends with the words: and may they multiply like fish in the middle of the land. Clearly, fish don’t belong multiplying on dry land, but Yosef made it work, and Yaakov’s bracha carries over when we bentch our kids ‘ישמך אלקים כאפרים וכמנשה’) and was also the first to raise sons without rivalry. In many communities, in lieu of saying bli ayin hara, people will say ben porat Yosef, a phrase from the blessing Yaakov gave Yosef. The reason for this is presumably because Yosef and his descendants are said to insusceptible to ayin hara. Now, if Hashem were to open up the books, so to speak, and start a strict accounting under the Satan’s watchful eye, it is likely that the person would indeed be found unworthy, as Hashem always blesses us more than we deserve. Yosef, already in Potifar’s house, was known for having שם ה’ שגור בפיו, the name of Hashem, always on his lips. This continued and strengthened throughout his yissurim, until the end of his life, protecting him and his descendants from ayin hara. Yosef became the manifestation of what we are supposed to do in this world, the opposite of sun worship: He became the one who saw Hashem in everything: the good, the not-so-good, the difficult. Yosef became the one who took no credit for his own actions, attributing them to Hashem; a man who lived among a people who worshiped their animals and their human king, and he was not hesitant to declare Hashem’s name out loud. Yehoshoua Bin Nun, a descendant of Yosef, was able to see Hashem in everything too. When he went with the meraglim to Eretz Yisrael and saw the same things as the rest of them, he came back on the side of Hashem and Moshe and did not slander the land. It’s truly beyond the scope of this article to fully discuss in detail, but it must be pointed out that Yehoshua is the one who was given, in the month of Tammuz, the power to stop the sun while fighting with Amalek, the nation that attributes everything to nature and denies Hashem. Perhaps the most mysterious figure in Jewish tradition is a man we refer to as Moshiach Ben Yosef. He’s only referred to in the vaguest of terms, and often people are confused: what’s his purpose? What’s he going to do? Is he meant to die? But then why do some siddurim have instructions to daven for Moshiach Ben Yosef that he shouldn’t die? Let’s now discuss this descendant of Yosef. Chachomim tell us that in every generation there may be someone who does the work of Yosef Hatzadik, and he is Moshiach Ben Yosef. Just as the brothers conspired against Yosef, many will conspire against Moshiach Ben Yosef. Just as the brothers didn’t recognize Yosef, we will not recognize this man. As with Yosef in Egypt, Moshiach Ben Yosef’s suffering will put him where he needs to be to save B’nai Yisrael. As Yosef was able to implement all of his middos and thrive in galus, that is what Moshiach Ben Yosef will force us to do. That will be his job, and by doing this he will make us ready for Moshiach Ben Dovid. So why, we may ask, is there so much mystery? Why is he not even mentioned by some of the sources, why do some not even know about him? Perhaps it is because his existence and fate is not predictable. Rav Saadia Gaon writes that he will only come if he must, if we haven’t learned the lessons of Yosef in galus. Similarly, the Gr”a writes that he will not necessarily die—it will depend on us: How willing will we be to receive his light and his message, the message of Yosef’s success over Tammuz? How willingly will we be to see Hashem in everything, everywhere? As the son turns from the doorway of the house, he sees a lion approaching him threateningly. If the son does not know his father, he will think that the father has thrown him out to be ravaged by the lion. Hashem frequently hides himself from us, but only in order so that we should seek Him out and see Him in all that we do. The month of Tammuz is halfway past, and we are fast approaching Av, a month that is compared to a Lion. As the Lion of Av appoaches us after the Hester Panim of Tammuz, let us run towards Hashem, and delight in Him again. Nature is not natural, it’s supernatural. My middle school principal, famous for his aphorisms that helped us remember the messages of his parasha classes was especially excited about this one. While I no longer remember the lesson this saying was taught in connection to, I can say that the message stayed with me for years. So often, we see something beautiful and amazing in this world, and we express our awe and amazement. This saying reminds us to carry it one step further and thank Hashem for what we experienced. How many times have we seen a beautiful sunset, with streaks of orange, purple and red, and exclaimed over its beauty? But do we take it to the next level and remember that the beauty is a gift from Hashem and not just something that randomly occurs in nature? How often do people stare at a tiny newborn, awed by the perfectly detailed miniature, with functioning limbs and organs? We’ll often say things that express our amazement, but do we carry it one step further and thank the Creator? We tend to remember Hashem’s involvement only when things go wrong. When something on that newborn isn’t perfect, we are startled into remembering just Who is the One running the world. Our job, in a world where Hashem is largely hidden, is to see His presence in all of nature. The Hebrew word סר (soor) means to turn. If a person commits to מוסר, to turning himself from the path of not seeing Hashem, he will have done his job. If not, Hashem will turn him around, יסור, in a process we call…Yissurim. Tammuz is a month of particular ‘hester’, Divine concealment, and historically a month of Yissurim. Join us as we learn about this month and the מוסר it teaches. A theme that we tend to come back to on this blog is the Jewish calendar and the concept of experiencing time cyclically. Let’s now dissect this and truly understand how time and space, two seemingly immovable aspects of nature and of our lives, fit into the lens of Jewish reality. Time and space are considered objective, permanent things. When something is notarized, it is stamped with the time and date. Time, after all, is the ultimate proof! There is no going back and retroactively time-stamping something, and no true way to alter time. Similarly, with any construction or design project, the most important details for the engineers and architects to work around are the measurements. Space, after all, is objective—the measurements can’t be changed, and even the smallest increment of error can upend a structure. The lens through which we see the world is tinted with these realities. When we study an object, our first thoughts are typically about its size and shape. When we think about an event, we think about when it happened (or is set to happen) in the timeline of our lives. These are the laws of nature that our world is governed by. However, in a spiritual sense, time and space are not objective realities. Instead, they are simply creations. And just like everything else created in the physical world by Hashem, they are subject to a shift in reality when applied to spiritual topics. Let’s illustrate this point by examining what happens to our “objective” time and space when they start to infringe on the spiritual. We’ll see that the more spiritual something is, the less it is ruled by the physical laws of space. We’ll also see that the passage of time is ruled by spiritual realities. The holiest of all lands is Eretz Yisrael, which is referred to as ארץ הצבי, the Land of the Deer. The meforshim explain that just as the skin of a deer would seem to be too small to cover its body, but stretches to do so, the land of Israel stretches more than one would think is possible in order to accommodate all its inhabitants. Within Eretz Yisrael, the holiest city is Yerushalyim. Chazal tell us that when the nation would travel three times a year to Yerushalyim for the regalim, there would be no complaints about cramped quarters or lack of space, even though it was fully inhabited, seemingly to capacity, throughout the year. Yerushalyim was able to defy the laws of space and accommodate the influx of travelers. Within Yerushalyim, the holiest area was the Bais Hamikdash. On Yom Kippur day, B’nai Yisrael would fill the courtyard, standing shoulder to shoulder and filling all available standing room. And yet, when the Kohen Gadol would perform vidui and say the name of Hashem, B’nai Yisrael would all prostrate themselves on the floor, bowing down—and there would miraculously be room for them to do so comfortably. In a place so holy, physical laws don’t reign.